How to Reach: One can reach Maharashtra from any major city in India. Thereafter, take a bus or private cab to Shirdi. There is nothing dandy or gaudy about Shirdi Sai Temple. The small temple is located in a sleepy little town called Shirdi in the state of Maharashtra in India. Don't expect to see commercialization or fast paced life found in the metro cities. A small temple located in the middle of a dusty town may not seem like the perfect tourist attraction. This is where the Shirdi Sai Baba pilgrimage scores. This ordinary looking town is home to one of the most famous and celebrated spiritual leaders of India, Sai Baba. Considered to be the incarnation of God, Sai Baba was an ordinary Fakir (beggar) who preached the true and meaningful teachings of God. He showed extraordinary miracles at a very young age and lived a very simple life. 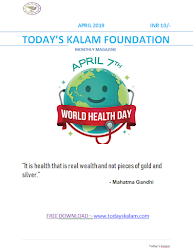 The incidents increased day by day and soon Sai Baba was famous all over India. He had followers from the lowest and the highest strata of the society. He was worshipped as God and till date continues to be worshipped so. The place where the temple is built is supposed to be the place where he attained enlightenment. Every evening at 6:30, the main Aarti for Shirdi Sai Baba starts. Devotees from near and far come here and sing verses and hymns in the praise of Sai Baba. The Aarti looks no less than a festival with abundant flower decorations and lighted lamps everywhere. More than God, he is treated as a fatherly figure who gets royal treatment from his children (read devotees). In fact, after the evening aarti, he is wrapped with a blanket in winters and in summers he gets a mosquito net! The sacred ash of Sai Baba known as "Vibhuti" is distributed among the devotees along with other offerings. The Dwarkamayee Masjid is an old mosque where Sai Baba used to sit all day long. The stone that he used as his seat is still preserved along with a portrait of Sai Baba that was painted during his lifetime. Situated at the east of Dwarkamayee, it was at this place that Sai Baba used to rest every alternate night. There are a number of portraits of deities over here. A wooden plank used by Baba is still preserved and kept over here. This small temple dedicated to Lord Shiva is situated on the Ahmednagar road. 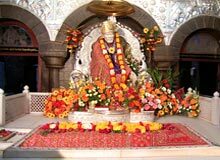 It is said that Sai Baba was first addressed as "Ya Sai" over here by the Mahalsapati (chief priest in Shirdi). These three temples are situated in a line, one after the other. The Mahadev Temple is the oldest of all and is dedicated to Lord Shiva. The Shani Temple is dedicated to the Saturn God and the Ganesha Temple is also said to have existed since a long time.